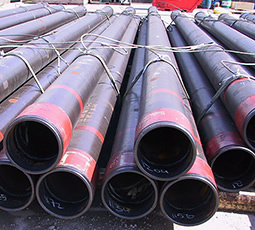 We can provide at some of our stock locations a rig-prep service including re-inspection of threads, re-doping with API Modified dope, installing centralisers and bundling for offshore service. Rig-prep of casing bundled using wire rope slings, stropped and dogged. 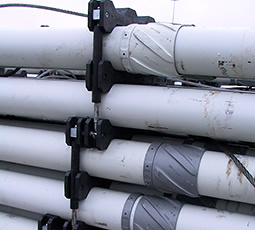 Rig-prep of casing with centralisers in place, rigid bundled.